Anson D. Aquilina, Executive director at Abakus Solutions illustrated to those present how the web development company helped GSD to move away from the cap-collection and label-collection loyalty schemes to m-commerce and e-commerce. Mr. Aquilina highlighted that "the evolution from May 2008 is remarkable and the results speak for themselves. The rate of participation grew by 300% in just over a year thanks to an integrated approach using both web and sms as interactive channels for the campaign." Abakus Solutions has been working tightly with the marketing department within GSD to provide both sms and web tools to be able to build a unique loyalty platform for mycoke.com.mt. During the last few months, GSD was able to launch campaigns such as myCoke Travel, myCoke Virtual Couture and myCoke15, amongst others. 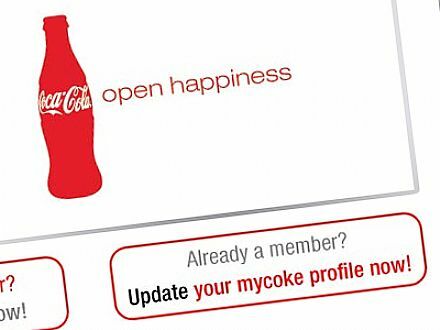 The amazing results achieved from this campaign has convinced all parties that myCoke.com.mt is now a brand by itself. The case study explained how the success of this campaign is based on the synergy that exists between the client and the service provider and how technology is constantly being customised to meet the necessities of the marketing strategy. "Our solutions do not limit the marketing potential but provide tools to assist this important business function and see that its processes are made more efficient and effective" concluded Mr. Aquilina. In the meantime, Abakus Solutions and General Soft Drinks Ltd, have been working on a new fresh look for mycoke.com.mt with new graphics, interface and improved interactivity, which has been launched last Monday. The new portal includes new interesting sections including the possibility to update one's profile and include having one's profile image. New features are also planned for the coming weeks. Log on to www.mycoke.com.mt and stay updated.